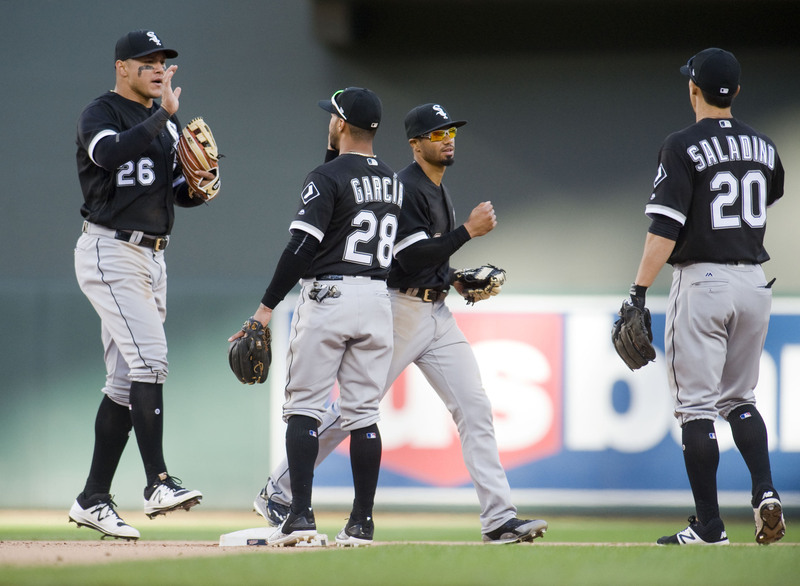 South Side Morning 5: Avisail Garcia and James Shields are Good? The White Sox visited Target Field over the weekend for a three game series with the Minnesota Twins. With Dylan Covey, Jose Quintana, and James Shields taking the mound the Sox were able to take 2 of 3 games from the Twins. They now sit a game above .500 at 6-5. 1. Jacob May saw his fair share of playing time this weekend. It did not, however, yield good results for the 25-year-old center fielder. May has now gone 0-for-24 on the season. The two main arguments for him making the team to start the season were his hot spring and defensively abilities. His hot spring pretty clearly seems to be explained by feasting on below average pitching. His defense has certainly been OK, but it hasn’t been fantastic. It nearly cost the White Sox the win in Sunday’s game when he misjudged and dove for what ended up being a Brian Dozier inside-the-park home run. In every facet of the game, it was clear that May is overwhelmed by the big leagues. The White Sox don’t have a ton of options, but Leury Garcia can certainly handle the majority of the starts in center field while May figures himself out for awhile in Triple-A. 2. Before the season began, there were certain things that were identifiable as things that would be great for the White Sox and still somewhat plausible. One was that Shields could put together a first half of the season impressive enough to see him flipped at the deadline. So far, he’s doing exactly that. In three starts, Shields has pitched 16 ⅔ while giving up just three runs. It’s a bit early to tell any real trends in terms of walking and striking out batters, but so far the strikeout rate has improved. He’s still allowing too many baserunners, especially via the walk. It’s possible that this is simply because he’s leaving less pitches over the plate, and he has managed to work out of those situations. The walks and inflated pitch counts are something to keep an eye on, but for now, Shields’ results look like the guy he was before being traded to the South Side. 3. Quintana has not had himself a great start to the season. He’s among the worst in every stat that it’s too early to even be looking at, including his 6.75 ERA. He hasn’t looked great. There’s no way around that. The biggest question, of course, is how this affects his trade value. The answer, for now, is that it really doesn’t. Every single pitcher in the big leagues has had a bad stretch — some even worse than Quintana’s current one. Scouts from the Yankees, Astros, Dodgers, and whomever else know who Quintana is as a pitcher. That is not in question at this point. It’s going to take a much longer and far worse stretch from the White Sox ace to keep teams from at least mildly pursuing him. 4. In the prospect world, Reynaldo Lopez had a solid start in Charlotte on Sunday. He went six innings, giving up two runs while walking two and striking out four. Later in that same game, Zack Burdi blew a save and eventually gave up a walk-off triple. In Winston-Salem, Zack Collins walked for what seems like the millionth time, hit a double, and struck out twice. 5. I bet you thought I was gonna go this whole article without talking about Avisail Garcia. Well, I’m not. Against all odds, Garcia has put together quite a start to the 2017 season. He’s hit safely in every single White Sox game, except for one. In the game he didn’t register a hit, he was one of just two players to reach first base. In Sunday’s game he played the hero when he hit a two run homer in the 10th inning. In a real life baseball game, a team opted to pitch to Jose Abreu rather than face Garcia in a potential double play situation. Some Twins fans even argued on Twitter that Garcia should have been intentionally walked! That is the world we are living in with this hot streak. Who knows if it will last for another half a season, month, week, or even for another single day. What there is to know is that a player who has been beaten down by fans, analysts, and maybe even himself over the past few seasons is tearing it up. Perhaps it’s the pressure to perform off his back. Perhaps it’s the need to prove people wrong. Whatever it is, it’s working for Garcia right now. It’s hard to predict the future. This streak is probably just a streak rather than a start of a whole different Garcia. Either way, it’s hard to not be happy for a guy finally punishing the ball after what has been a tumultuous start to his major league career.